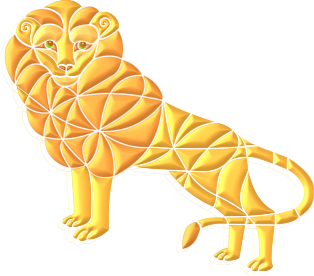 Leo Star Signed - Based on the Vector version of the Leo painting. Please note: The painting comes first, the vector is traced from a photo of the painting. Marps rule! 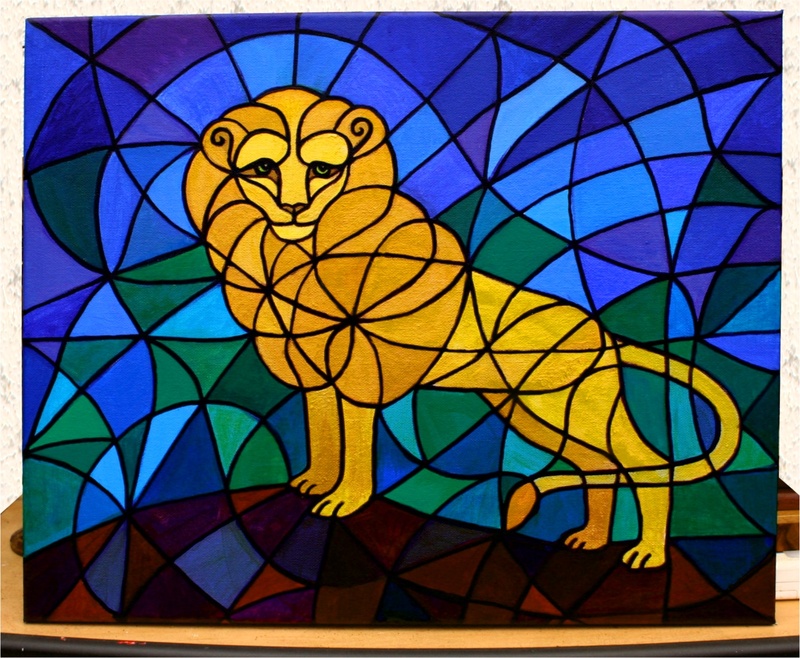 Symbol paintings and symbol hybrids are definitely magical in nature. They all are, and they all have purpose and reason. 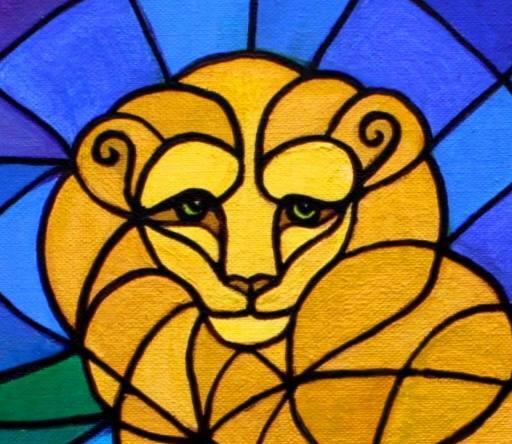 With Leo The Lion, this becomes very obvious indeed. This is not just a decorative item, it's an invocation. And Leo is definitely a magic Guardian as well as the many other things it is. 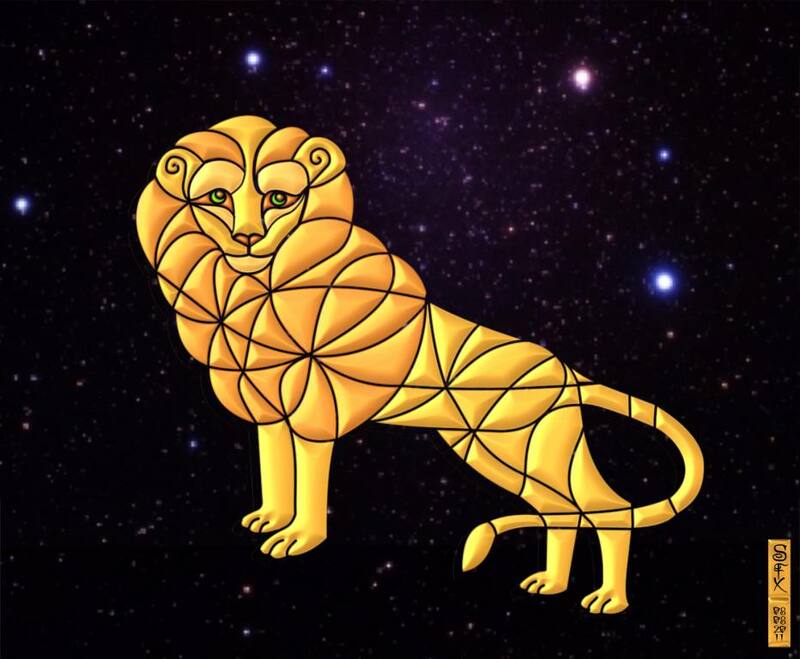 People with the star sign of Leo hear much about being flamboyant and wanting to be the centre of the Universe, wanting to be the master, the dominant one; but I think the aspect of being the guardian, the protector is at least as powerful as those if not more powerful still.